I was recently contacted by one of my readers, and I thought her question is probably one that many of you have, so I decided to answer it here. How do you find the right balance between strength training and cardio? I know that most fitness advice out there tells you not to ignore the former in favor of the latter (even though cardio always seems to work better for me for weight loss, even though I know the logic is that strength training helps your metabolism). How much strength training do you need to do per week (time wise and number of days wise) to get benefits? And what do you find is a good weekly balance between strength training, cardio and rest days? Additionally, do you tend to "count" yoga as strength training? Thank Missy for your question! I think it's a great one and one that many people struggle with - finding that perfect balance. Like any situation in finding balance, it's a give and take. There are only so many hours in the day and so much your body has to give. First things first - finding that balance depends on your own personal circumstances as well as your GOALS. Maybe you're training for a race? Maybe you want to fit into your skinny jeans? Maybe you are training for a figure competition? Maybe you just want to improve your health? Believe it or not, your final goal is going to dictate your training or workout schedule. Your body type - Are you naturally slim? Do you gain muscle easily? Do you tend to hold onto fat readily? The type of training you're doing - Is it high intensity or low intensity? Does it fatigue you for weights? Does your weight training fatigue you for your cardio? You might be gaining muscle because you want a certain appearance, increase your metabolism or prevent injury. A good starting point is three strength training sessions per week, 20 to 30 minutes per session. Weight training three times per week should be sufficient to maintain and even build muscle mass. With fat loss, your primary goal should be burning calories while sparing as much muscle as possible. Since you're most likely eating fewer calories, your body is not going to be eager to add muscle, therefore it's best to focus on keeping what you've got. Aim for 2-4 cardio sessions/week as well as maintaining proper nutrition so that you can make the most out of he fuel you give to your body. And let's not forget that proper nutrition is KEY to any training plan! If you are training for a specific sport, how many cardio sessions you need will depend greatly on the cardiovascular and muscle mass and strength requirements of your sport. Naturally, a long-distance runner is going to have far different requirements than a hockey or football player. The type of cardio training you do will also come into play. Low-Intensity Cardio: Low-intensity cardio training, such as walking or slow cycling, can be done practically every single day (even several times a day) for longer periods of time. This type of training is very easy for your body to recover from, regardless of your body type and your goals. It will have very little negative impact on muscle gain and can help you burn calories for fat loss. Moderate-Intensity Cardio: Moderate-intensity cardio training, such as jogging or swimming, will need to be done a little less frequently. This type of training requires more energy both to perfom and for your body to recover from. A person trying to lose fat can generally perform four to six moderate-intensity sessions per week at around 20 to 30 minutes each. A person trying to gain muscle should reduce this amount to two to three sessions per week. High-Intensity Cardio: High intensity training is the toughest of the bunch but can actually net you the greatest and fastest results. This type of training is exemplified in activities such as sprinting and interval training. If you've ever had a coach make you run up and down hills, you've done high-intensity cardio. Basically, anything that you do as hard as you can for a short period of time could be considered high intensity training. In fact, intense weight training with short rest periods is very good for cardio capacity (the theory behind Cross Fit workouts). The bottom line is that there is no perfect training plan that will fit everyone. You're likely going to have to experiment with different training plans and schedules to find something that works best for you. And just when you think you've got it all figured out, you might plateau and decide you need to switch it up again. So make sure you're doing both cardio and strength training no matter what your goals are, do workouts that you enjoy and challenge you and be sure to mix things up to avoid plateaus. And YES, Missy! Yoga "counts" as strength training! Unless your goal is to do a pull-up, in which case, you'll probably want to work on your pull-ups instead. 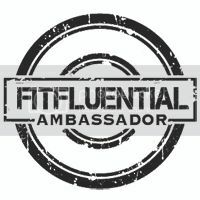 Have a question for FitYaf? Write in! This is great info - I know I need to spend more time on strength training to prevent running injuries.